It’s back to school for our little ones…and big ones. Some of us have children just starting pre-k and others, like myself have children off to college. It is never easy at any age. However, I think it is even harder for parents with students on the autism spectrum. We at http://www.autismthings.com/ try and sell autism awareness products that may help you in any way possible. Some items are; autism bracelets, autism id necklaces, autism books, autism zipper pulls and many other awareness items. I am a retired vice principal so I know what it is like being with children of all ages. I did oversee our special education department where I had the pleasure of working with our students on the autism spectrum. I saw first hand how many students and parents judged children right away. One of our products we carry is the “Autistic Child May Not Respond to Verbal Commands” decal. This is a sticker that can be useful in a variety of ways. One idea is that can go on your child’s bedroom window of your home to let first responders know in case of a fire. Another idea is to put it on your stroller so people may be aware of the situation at a mall, park or grocery store in case your child decides to have a meltdown right there. Another idea is on the window of your car to again give others a heads up in case of an accident or situation. Now that they are back to school, perhaps on a backpack or folder. 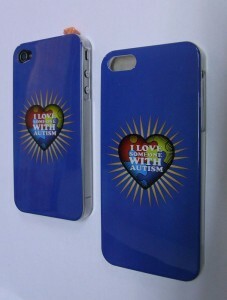 If you would like to see other products we carry as well, please visit us at www.autismthings.com or click here. So congratulations to all of us getting our little treasures off to a great start this year! Did you know, the “Working Together to Find The Missing Piece” is AutismThings.com’s own Autism Awareness motto? We believe that living with Autism and working together are the only way we will ever understand the Autism Spectrum. In addition, we also believe that living with Autism, loving people with Autism and working with people with Autism opens the doors to all kinds of gifts – that for many of us these gifts are ‘missing pieces’ in our lives. That’s why we love the deep meaning behind this motto. Our “Working Together to Find The Missing Piece” rainbow bracelets are one of our most popular sellers whenever we go to walks and events in our local community, and now they’re on sale for as low as $0.90 each! What a great fundraiser idea. Click here to shop now. Take Your Awareness EVERYWHERE – iPhone Cases Now Available! Let’s face it, our phones are attached to us everywhere we go. 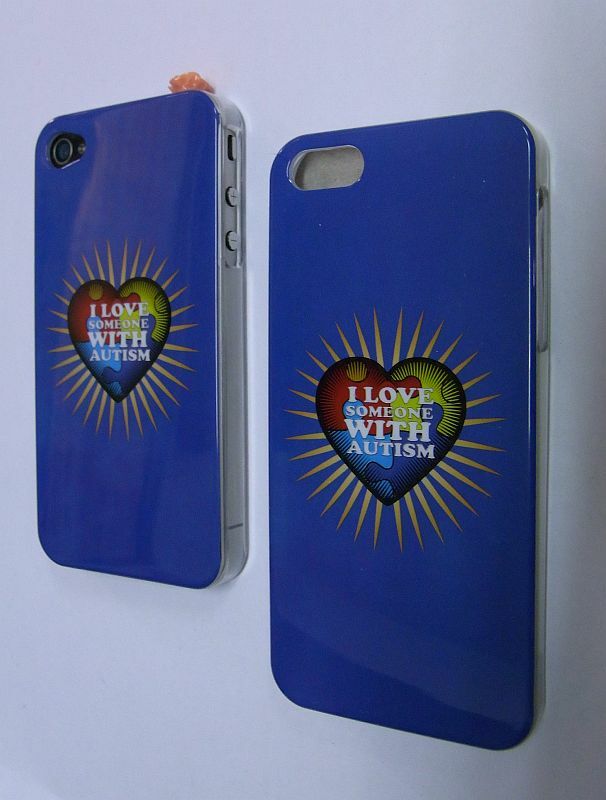 We at AutismThings.com wanted to combine our love for our phones with our love for those with Autism, so we created our new iPhone cases featuring our “I love someone with Autism” logo. We feel that this logo speaks to our hearts here at AutismThings.com so deeply, combining all the complexity and deep love that goes into these special realtionships. What a great way to thank a care provider, a family member or simply show your support for the cause? We are excited that these are now available in bulk quantities at reduced rates for those of you doing fundriasers. We’ve had lots of Autism Walk teams get these as ‘thank-you’s’ for their team members and top donors. What a great gift! You could even outfit your whole team with the matching shirts! Happy Halloween from AutismThings.com! I saw this great Pumpkin Puzzle-piece image and it got me thinking – anyone carve an Autism Pumpkin this year? If so, make sure to share! I did find one great pic of a Puzzle-Piece pumpkin done by Dirty Girl Motorcycle Racing – don’t know if she’s associated with Autism Awareness, but her pumpkin was truly inspiring! Wish I was that talented! Check out her post (link above) to read about how she did it – all with POWER TOOLS! 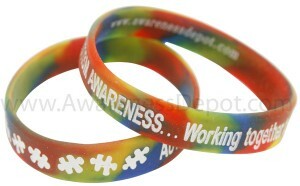 Autism Bracelets – Great for Companies! April 2nd is Autism Awareness Day. To celebrate this day, prominent buildings across North America and the world — including the Empire State Building in New York City The Miami Tower, the Port of Miami in Miami-Dade County and the Christ the Redeemer Statue in Rio de Janeiro, Brazil , — will turn their lights blue to raise awareness for autism and to commemorate the fourth World Autism Awareness Day . Our aim is to light the world blue all throughout April — city by city, town by town — by taking action to raise autism awareness in our communities. Your company (or organization, neighborhood, family) can participate in this by wearing Autism Awareness Bracelets on April 1&2 and throughout the month of April to help raise awareness! Click Here to see our great prices! Copyright © 2010-2019 Autism Things Company Blog All rights reserved. Shades v1.4 theme from	BuyNowShop.com.